Three cornerstones have made Sea Otter Europe Costa Brava Girona into a leading event in record time: a world-class competition programme, an incredible exhibition area and a bicycle testing programme. Demobike has become one of the most popular features of the three-day festival that is Sea Otter Europe Costa Brava Girona, both for exhibiting brands and users. On the one hand, Ocisport has channeled all its knowledge related to designing quality circuits into the activity, knowing that users need, and value, being able to try out bicycles in a realistic environment. A team that has organised World Cup events can no doubt be trusted when it comes to designing any type of track. On the other hand, Girona plays a key role, offering roads that are loved by dozens of professional cyclists and a network of trails that are witness to some of the most enjoyable and respected races in Europe. It provides the perfect ingredients so that Demobike tracks meet the requirements of the most discerning. Visitors come to try out the latest technology from the best brands on the market, which is why circuits that match the quality of the gear on offer are of paramount importance. Changes in purchasing habits and information when deciding between products have made Sea Otter Europe’s Demobike into an important event for purchasing new bicycles. The last few years have seen a revolution in how the sector operates at all levels. Consumers have access to more information than ever before and sales channels have expanded. Faced with this constant bombardment of brand advertising and information, the ability to test out several models on the same route and with the same conditions ends up being the decisive factor in hundreds of purchases. It is not unusual for users to come to Demobike with the clear intention of deciding their final purchase. Whether or not you are part of the Demobike programme can mean selling or not selling a bicycle. Something that the brands that have already experienced this formula are perfectly aware of, and which is reflected in the continued growth of Demobike, both in terms of the brands wanting to be a part of it and the models available to users. The time of year in which Sea Otter Europe is held, with the warmer weather approaching and, with it, more cycling, is key to influencing sales and clarifying doubts for users. For brands it is a unique opportunity to demonstrate the benefits of their products. If you trust in your product, the best possible marketing campaign is allowing users to try it out. Sea Otter Europe Costa Brava Girona is also unique in that brands and users can converge like never before – an exceptional opportunity to learn more about bicycles and accessories first hand, alongside those who are most familiar with the products. The international standing of Sea Otter Europe Costa Brava Girona means that, more often than not, you can chat to the people behind the development of many of the products on display. No one knows more about each bicycle than its creators. The size of Sea Otter Europe Costa Brava Girona can be seen by just taking a look at the fleet of bicycles that will be available. In total, more than 35 represented brands will have more than 450 bikes ready for Demobike, with all possible options covered, including road, gravel, MTB, urban and electric. In terms of the latter – electric bikes – Demobike has become crucial for communicating their advantages and curbing doubts among some cyclists. Trying out an e-bike is usually even more complicated than a traditional bicycle, which is why there will be an exclusive circuit for electric bicycles sponsored by Haibike. At Demobike visitors will be able to sample the best on the market, and in their natural habitat. 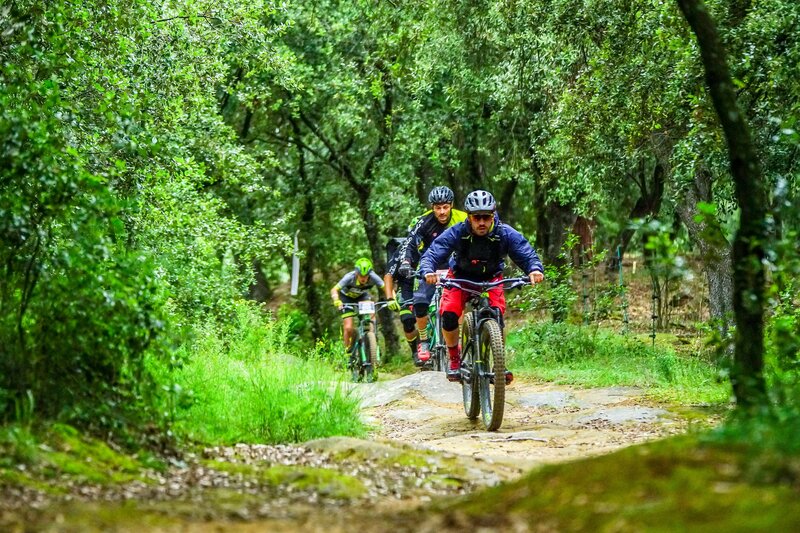 A simple and straightforward registration and booking process completes the experience for both users and brands at Sea Otter Europe Costa Brava Girona Demobike. Demobike will once again be a key part of the success of Sea Otter Europe Costa Brava Girona, with the following brands already having confirmed their attendance: nda Bike Street Stepper, Bergamont, Berria, Bird, Bulls, Cannondale, Canyon, Cube, Focus, Ghost, GT, Haibike, Hope, KTM, Lapierre, Littum by Kaos, Lobito, Look, Massi, Merida, MMR, Mondraker, Moots, Moustache, Olympia, Peugeot Cycles, Pivot, Radon, Riese and Muller, Ritchey, Scott, Specialized, Titici, Trek, Vitoria, Whistle and White Bikes. And as far as helmets are concerned: Abus and Sena.